Summer 2009 is my intended time to travel, taking around a month to complete the journey. 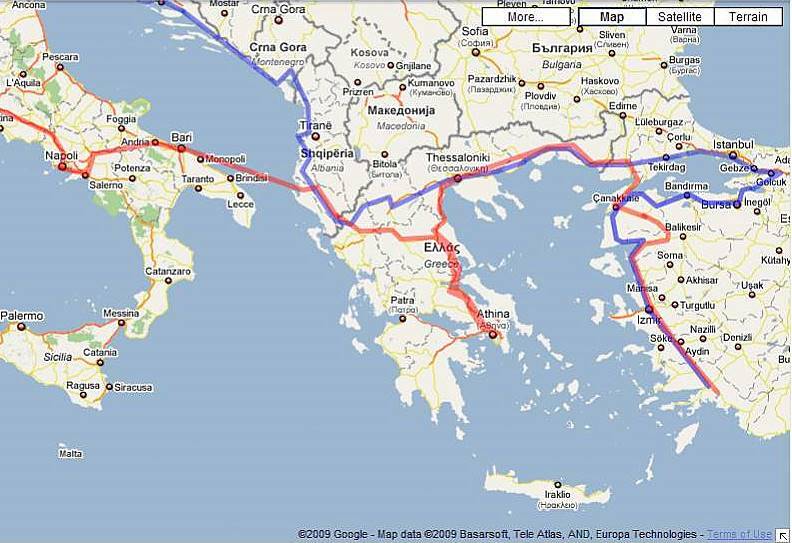 My initial enquiries about the trip have returned positive results, holding a British passport means no visa’s required anywhere and also no ”Carnet de passage” required for most of Europe, Greece and Italy is still a bit of a grey area so far as a Turkish registered bike is concerned, but seems not, I can modify my route to bypass these countries if needed. No visa’s and no Carnet’s saves a lot of time, hassle, and expense. Insurance can be paid either at border crossings, or from Turkey I can purchase ”Green card insurance” from the Turkish Automobile Association, or a ”Triptik” from a local insurance office here in town. 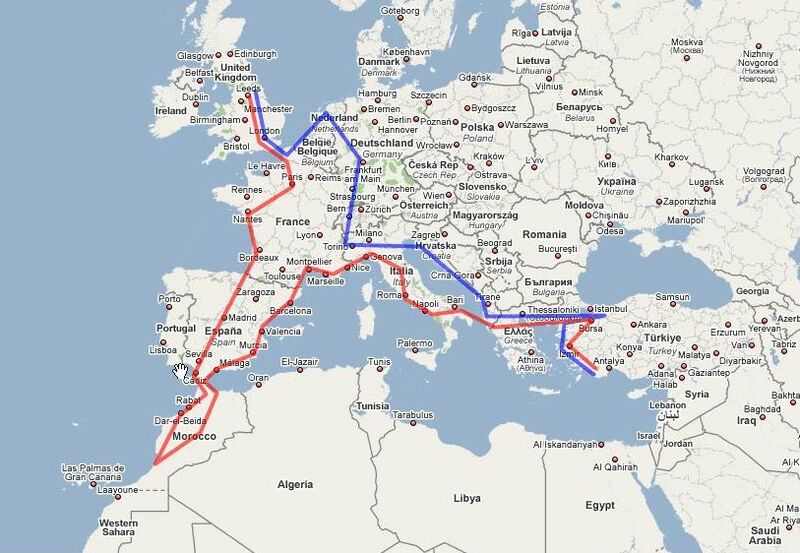 Thanks to help and information from Wım in Holland I shall try and add Morocco to the tour, since I am in the area it would be a shame to pass Casablanca, Tangiers and the Western Sahara bye for the sake of a few more miles. Wim says 30 Euro per person for the ferry crossing to Morocco plus 30 Euro for the bike and then 10 Euro for the fixer to do the entry paperwork, no Carnet needed. Just found this World map on the internet for all the counties that require the ”Carnet” marked in red, the green countries don’t require anything and the orange countries it is advisable to have a Carnet but not mandatory. 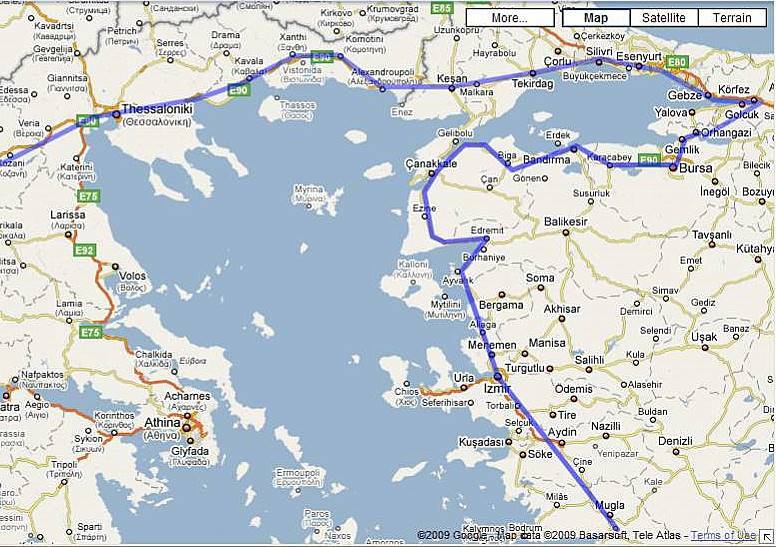 The start, points of interest for us on this page are Gallipoli,Troy and Istanbul. 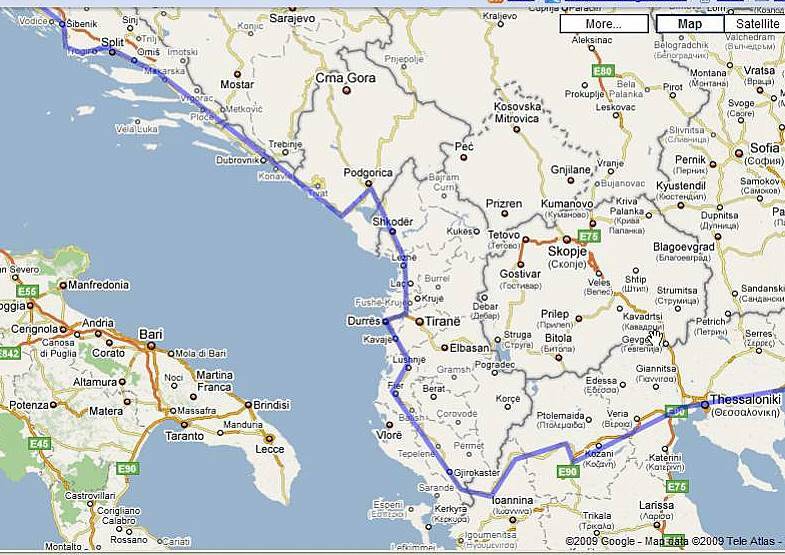 Points of interest on this page are Albania and Montenegro in general, and the coastal route is supposed to be extremely beautiful. Points of interest on this page are Croatia and everything, never been here before,possible detour to Sarajevo in Bosnia. Points of interest to us on this page are Venice and Verona. Point of interest is Paris, such a great city. 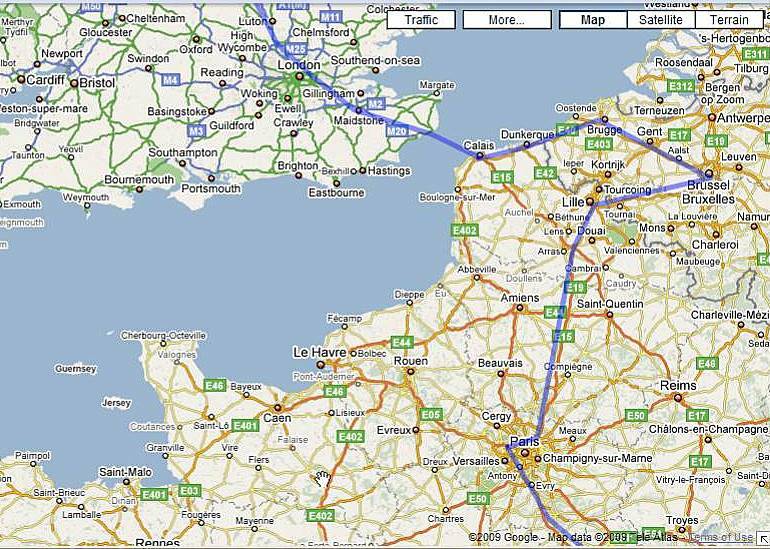 Points of interest are Brussels, Bruge and Dunkirk. Points of interest,London,Ace Cafe, seeing family. 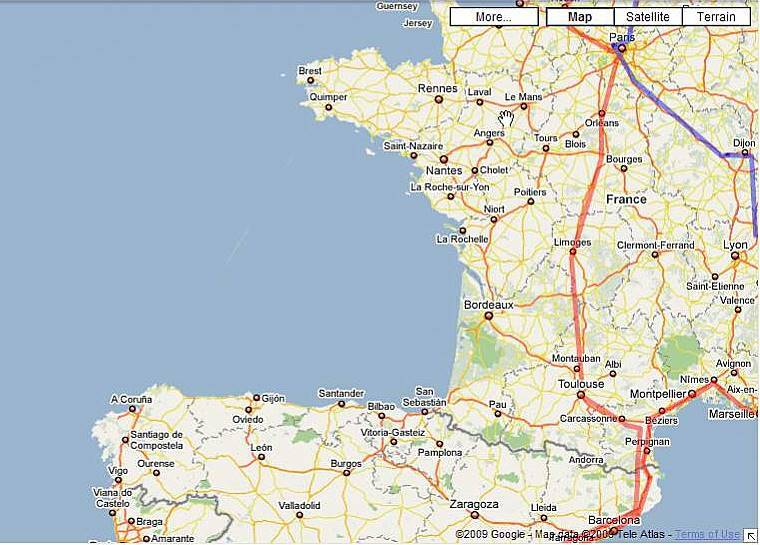 The return leg in red, points of interest, Paris again and Versailles. Points of interest, nothing really need more research. 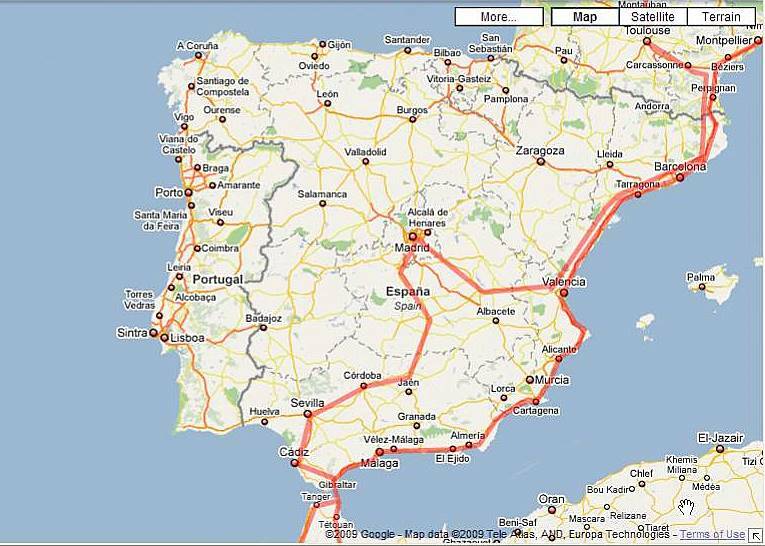 Points of interest, Seville, Cordoba, Gibraltar. Points of interest, all Morocco. 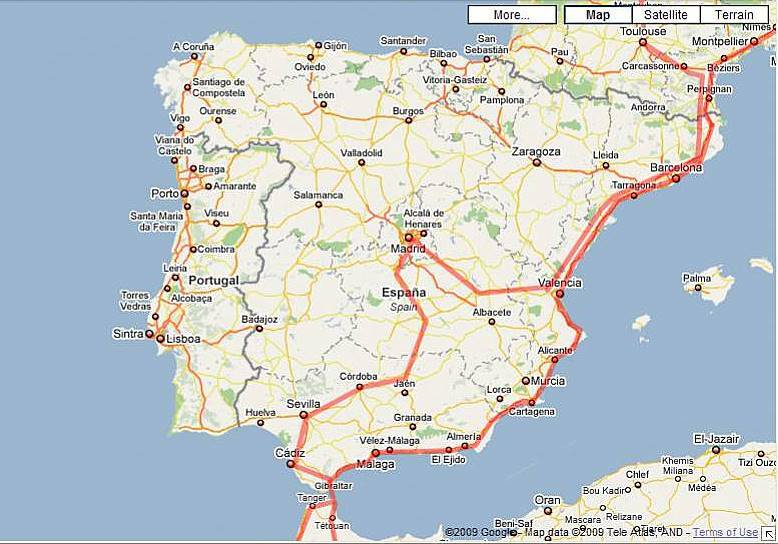 Points of interest, following the Spanish coastal route back. 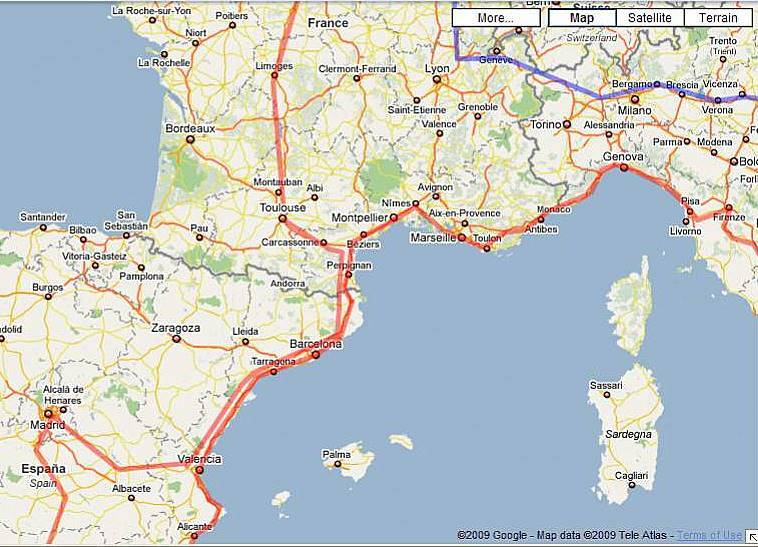 Points of interest, the French coastal route to Italy. 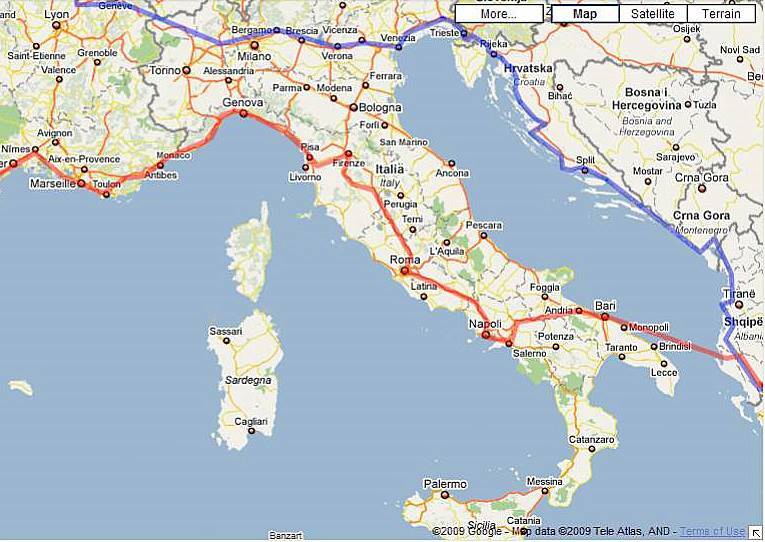 Points of interest, everything in Italy. 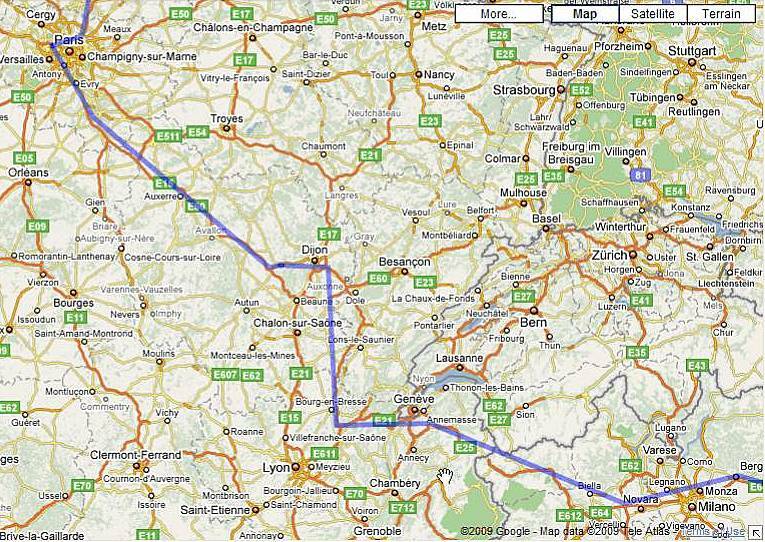 The route is just an outline and I am sure will change slightly day by day en-route. When are you planning to touch Holland? I could ride south for a beer and a chat if the timing is convenient. 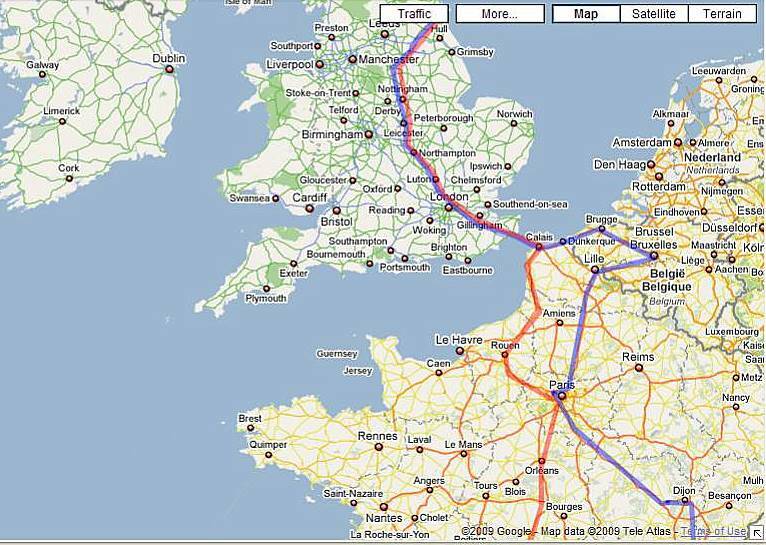 We have only rough plans on times and scheduls, we aim to hit Paris around the middle of May or slightly earlier, 11 to 15 May, we hope to up date this blog as we travel along, so I will have a more accurate date nearer the time, it will be great to meet up !! Thanks very much for your kind offer. I have just had a look at your bike pics…they are great pictures of the TA and other bikes Ivan, and Croatia looks a very beautiful place to live, you are a lucky guy !! I will put a link on my BLOGROLL to your website, I think other people would enjoy your photos aswell. Found you site on adventure rider profile, your doing a great job and some nice pics, keep up the good work bro. Cheers for the kind words mate !! 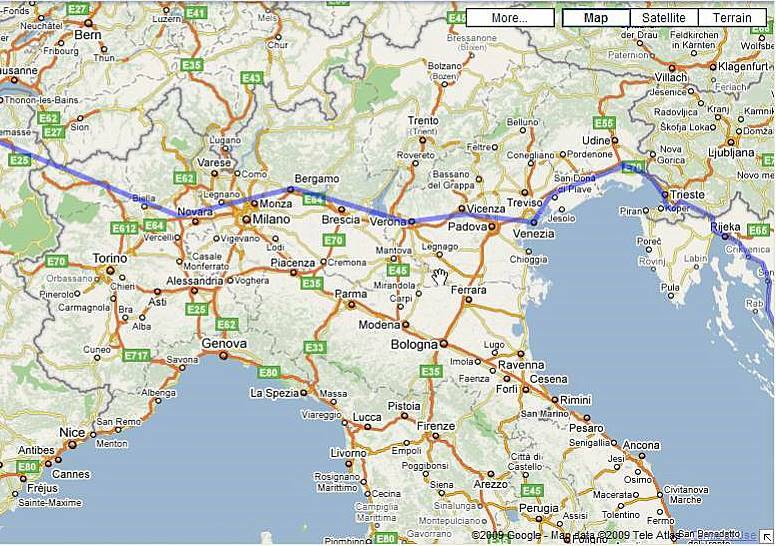 Thats an interseting route you have planed out there, I hope the trip goes well for you..
We did the trip, it took six and a half weeks and 24,000km…..it was great, cant wait for the next one. Thats an interesting route, have you ever thought of adding Russia ? Thanks for the comment…..I dont know much about Russia, only its full of Mafia, but an interesting country for sure…maybe one day !! 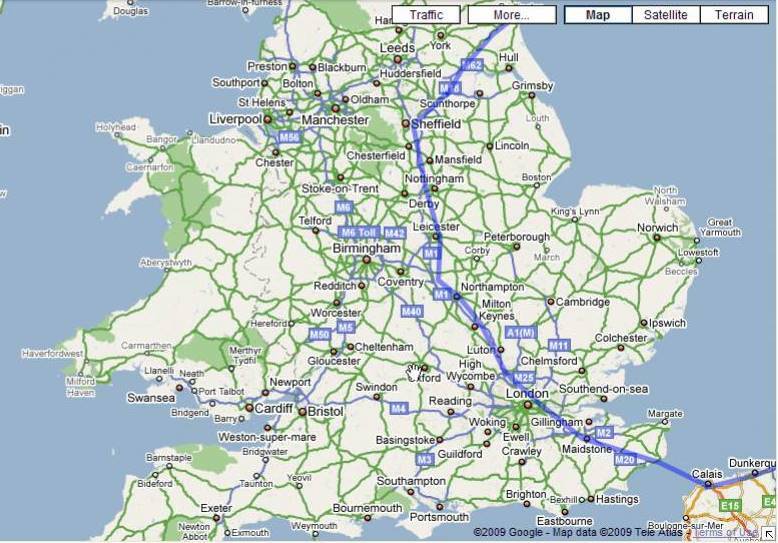 Great plan, I will steal some of your route ideas lol…. Thanks for the comment, glad you like it, feel free to take what you want !! Thanks for the comment, glad you like the blog! !